The Satori Easy-Up Adjustable Alloy Stem Riser is super light at around 380g. It is also super strong made from 3D forged 6061 aluminium. This then is CNC machined to produce this fine finished product. This is another great product from the Satori brand name and an ideal product for riders who need to adjust the height of their handlebars for either a different rider or a more comfortable riding position. 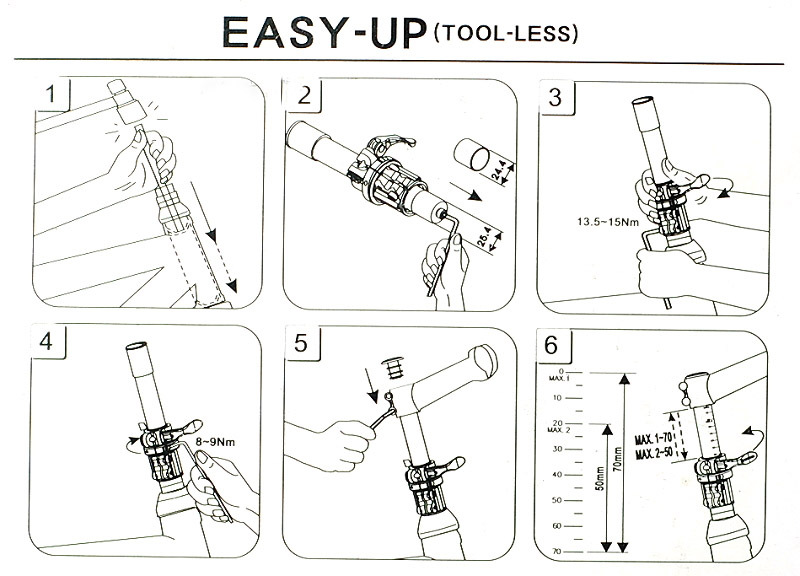 Tool-free easy adjustment of handlebar height. Pull up the stanchion at top position. Turn it to the side and push down to the bottom. Easy assembly with the fork tube w/o additional machining of the fork tube. Adjustment stanchion compatible with fork tube ID 24.4 and 25.4mm. Integrated with tightening ring for the fork tube and head parts.